SELLER SAYS BRING ALL OFFERS...wants this to be the next AJ sold! Repowered with MerCruiser 6.2's in 2017...still under warranty! BEST EQUIPPED 290AJ IN THE COUNTRY!!! 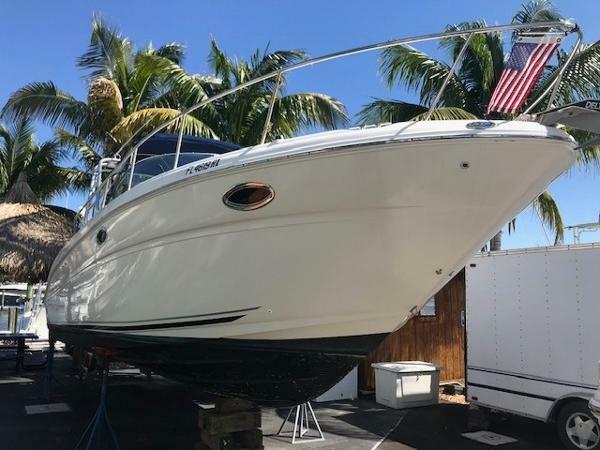 Complete Marine is pleased to offer this exceptional 2004 Sea Ray 290 Amberjack equipped with twin MerCruiser 6.2 Magnum engines and Bravo 3 dual-prop drives. The boat was repowered in 2017 and upgraded from the original 260 hp 5.7's to 383 hp 6.2's! Steering system was converted from cable to fully hydraulic system with the repower. Currently, the boat has just over 200 hours on the engines, both under Factory Warranty until 9/2020! The engines were just serviced and new bottom paint in September 2018. Exceptional in every way, the boat has new Seadeck in the cockpit area, new electronics including a Garmin XVS GPS with Radar and Fishfinder, Autopilot, VHF Radio, Mercury Smartcraft Vessel View, and a Fusion AM/FM/Bluetooth Stereo System. If you are looking for the perfect combination of Fishing and Cruising, look no further! 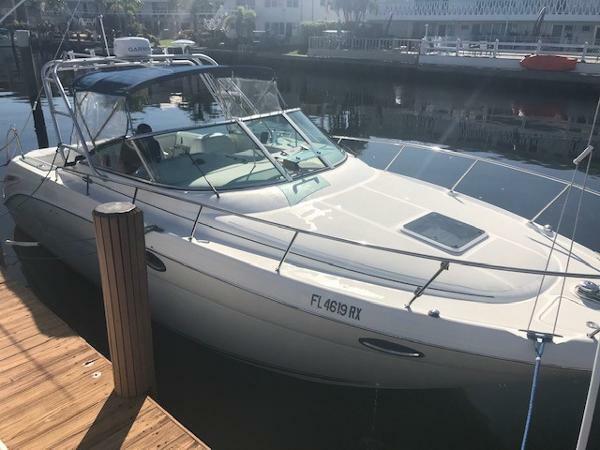 This vessel has everything you need to land the big ones and at the end of the day, the cabin is inviting and comfortable. You'll enjoy the air conditioned cabin, the Kohler Generator will power everything on board as well. All the comforts of home are right here, the large forward berth provides ample room for two adults. The Dinette is a great spot to relax, have dinner, and for guests it converts to a sleeper. The aft area is a berth for two or a great storage area for all your gear. The walk-in head features a Vacu-Flush system with holding tank and macerator as well as a vanity, sink, and pull-out shower. Entertainment in the cabin features a flat-screen TV with DVD player and a new Fusion Stereo system. The fully equipped Galley provides everything you need for extended stays aboard. 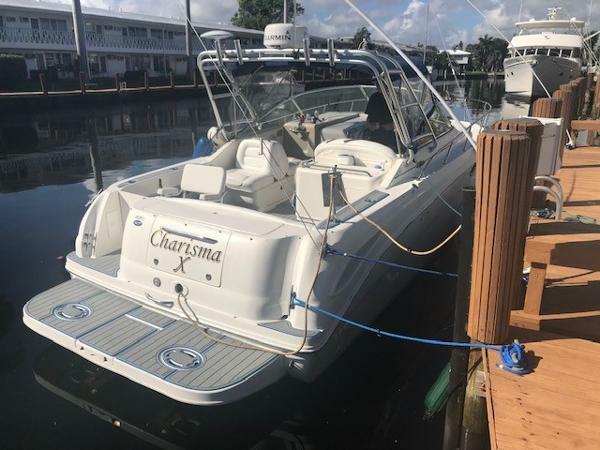 Don't hesitate to call today regarding this turn-key Amberjack, it's a true, best equipped, one-of-a-kind boat! Financing is available and we accept trades!